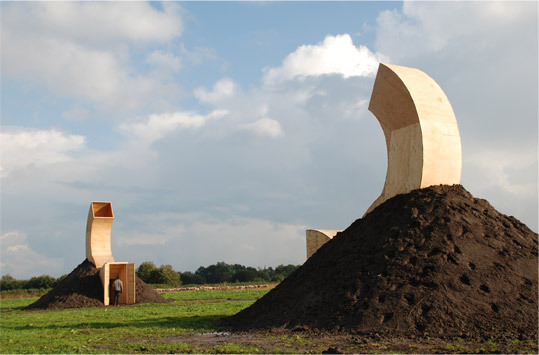 Temporary installation on new grounds where houses will be build. 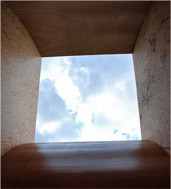 You can enter each construction, climb up the stairs and look into the sky through the curved tube. You meet the other person sitting in the other piece in mid-air. Also if you shout you can communicate with each other. 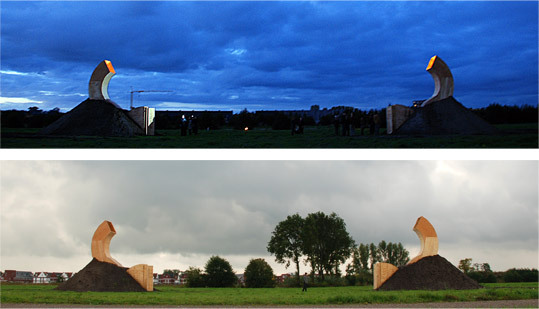 Plywood, earth, 6.5 meters high, total length 25 metres. 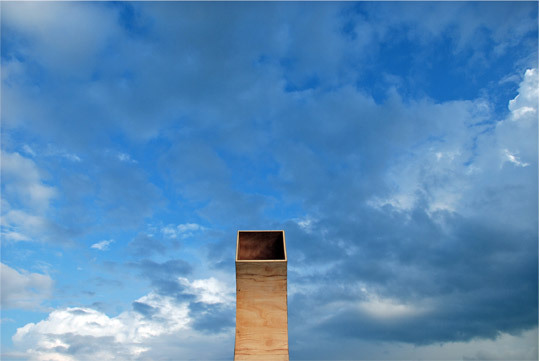 Curated by Tamara Oosterlaar – Vario Mundo. Vathorst, Amersfoort, The Netherlands.